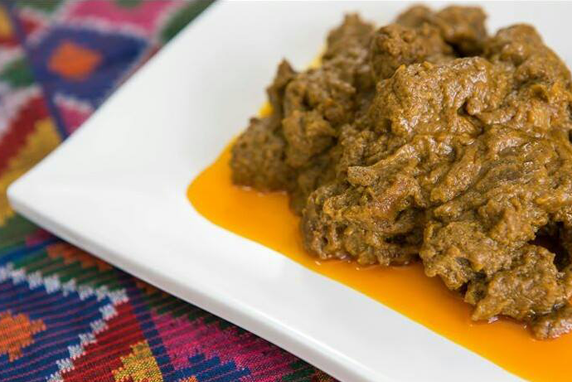 Beef Zamboanga – Axelum Resources Corp.
Toss beef cubes in flour and brown in coconut oil. Set aside. In the same skillet, sauté the onion, curry powder, apple, salt and pepper without browning. Put beef back in a pan, add bouillon and simmer for 1 ½ hours until beef is tender. Add coconut, raisins, jelly and lemon juice. Simmer for 5-10 minutes longer. Serve with fluffy boiled rice and a selection of relishes like toasted coconut, sliced pineapple, or chutney (buro).